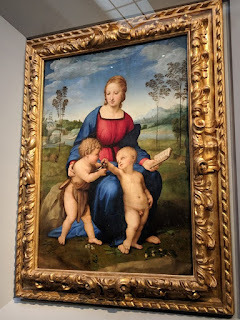 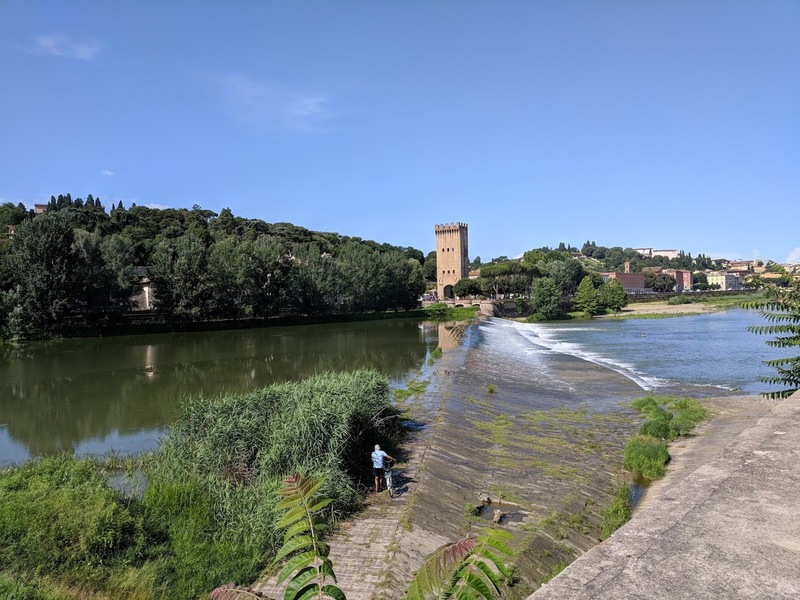 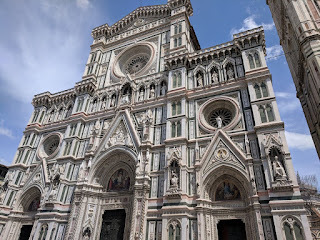 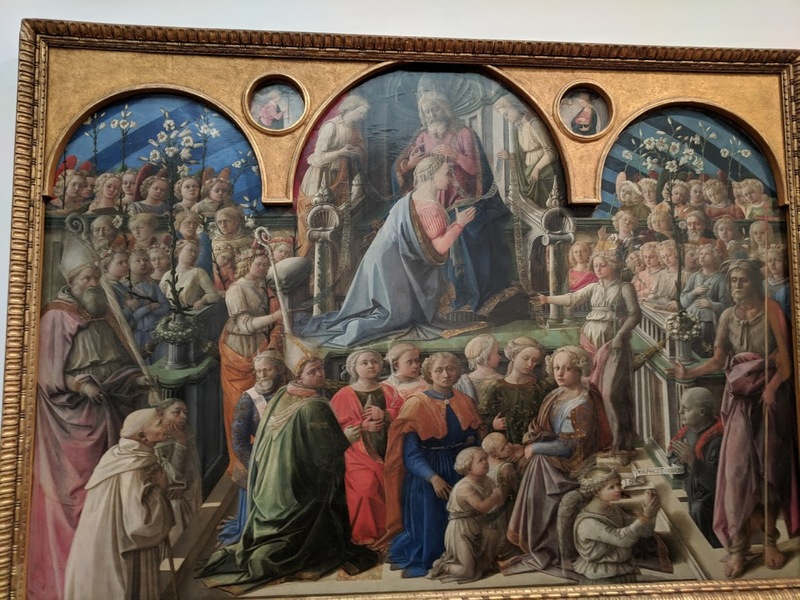 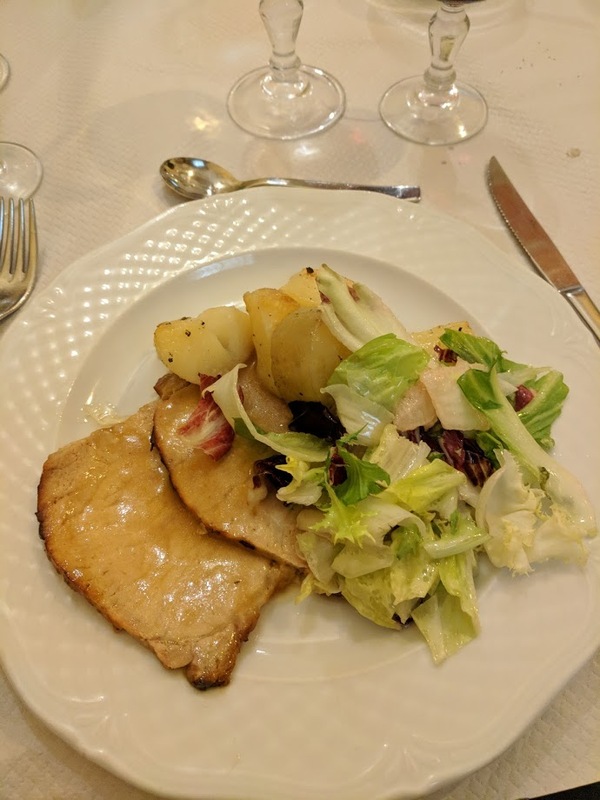 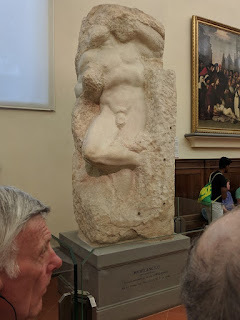 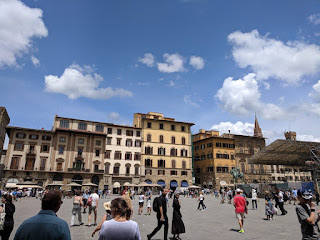 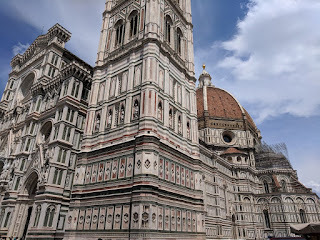 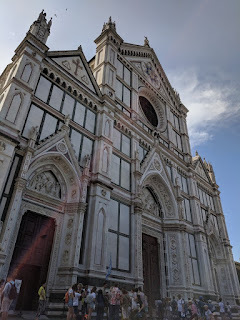 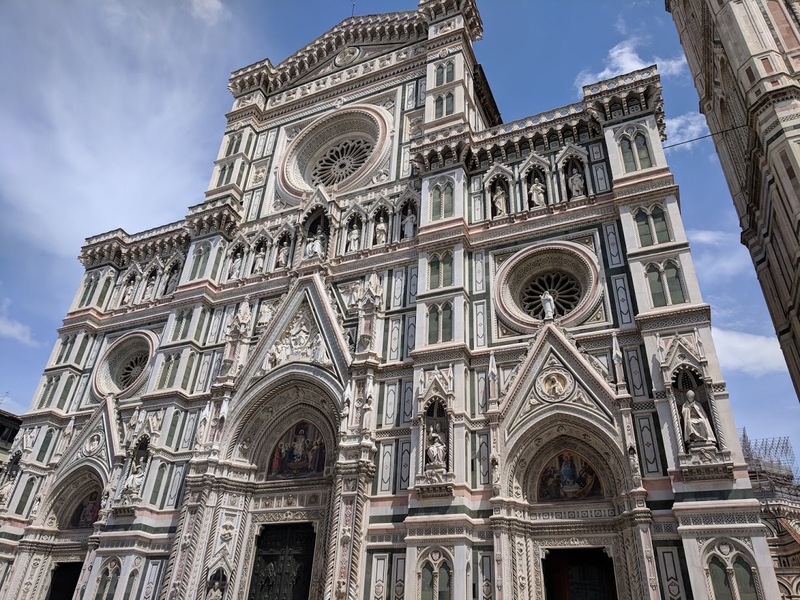 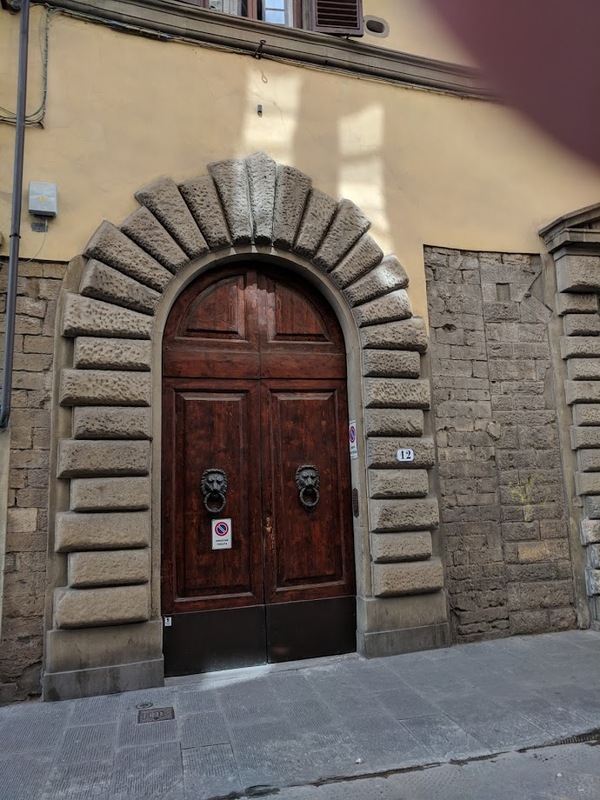 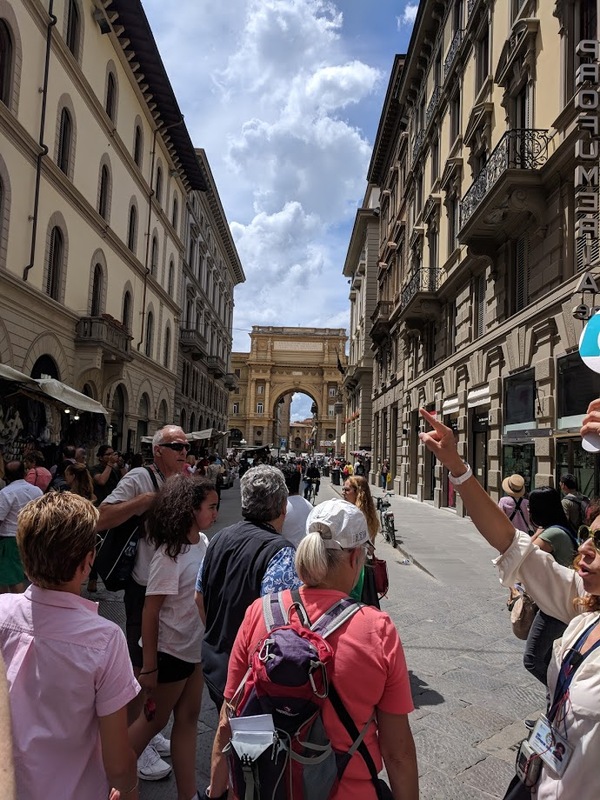 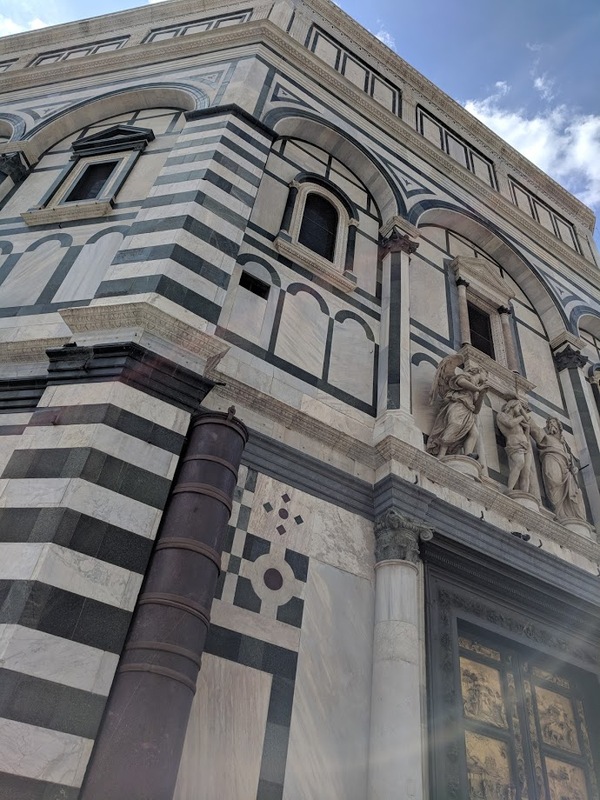 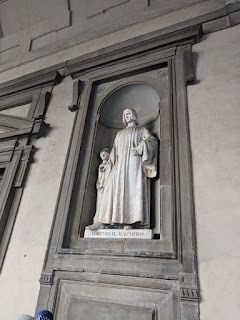 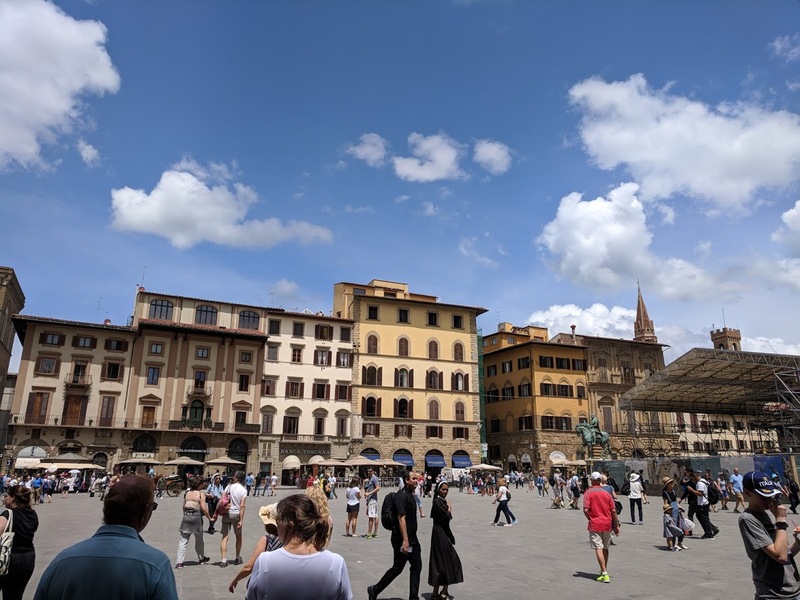 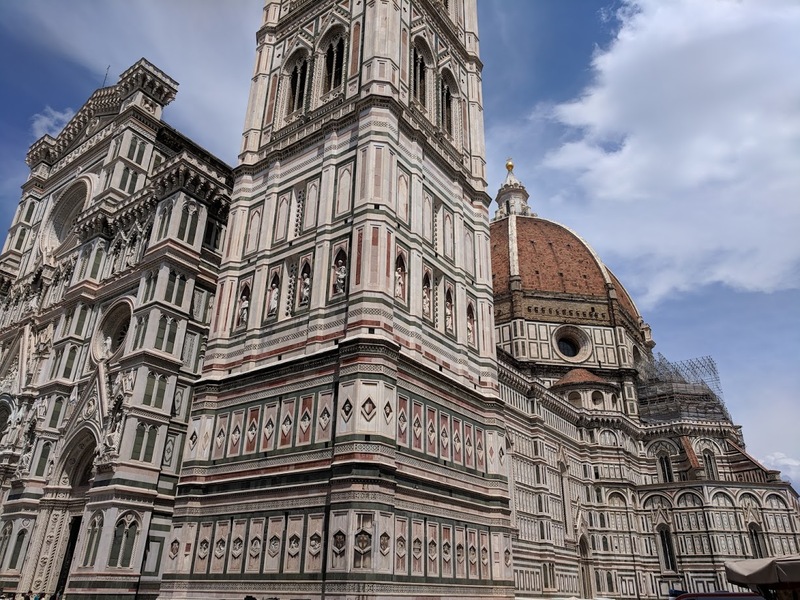 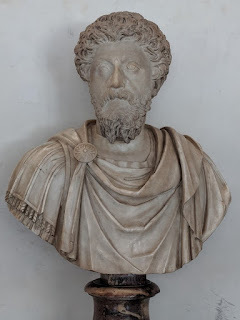 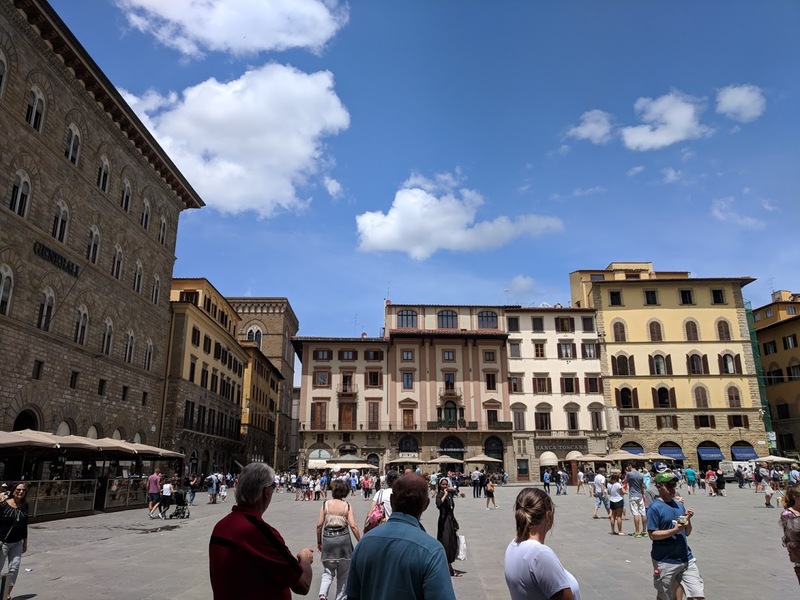 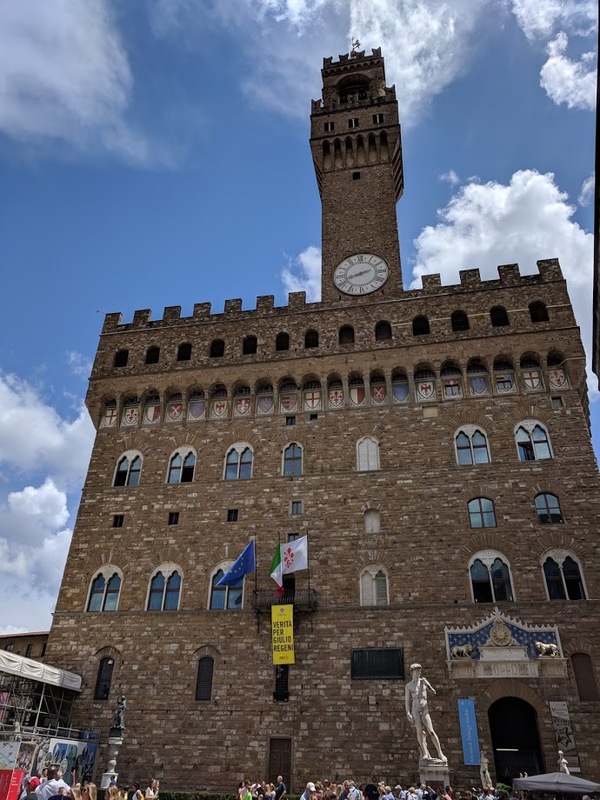 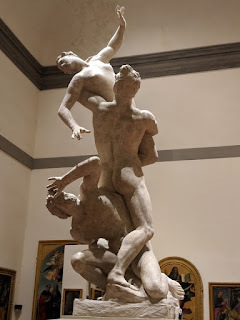 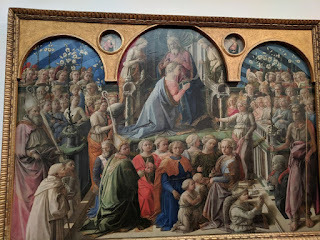 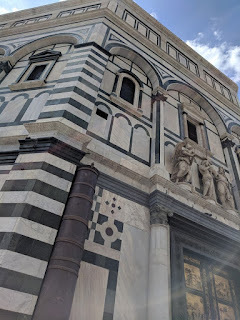 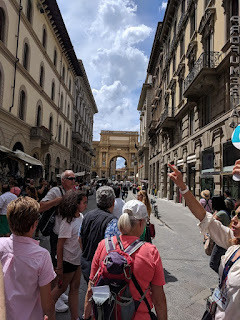 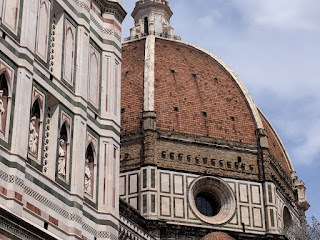 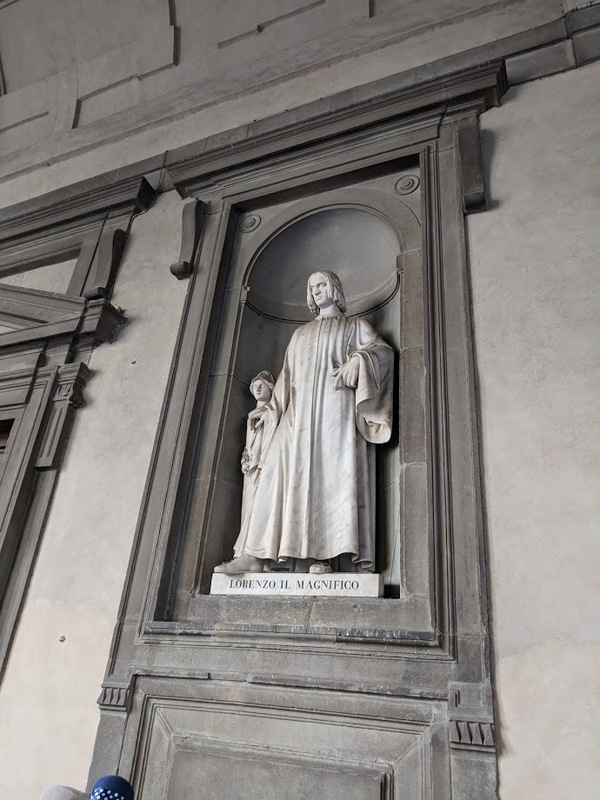 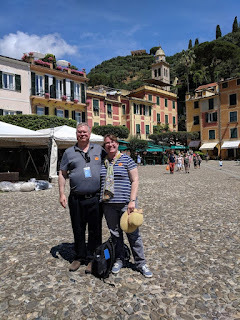 In this series of posts I'm describing the Mediterranean Cruise my wife Becky and I took in 2018 for our 25th anniversay, Here in Part 5 I'm covering our fifth stop, Florence. 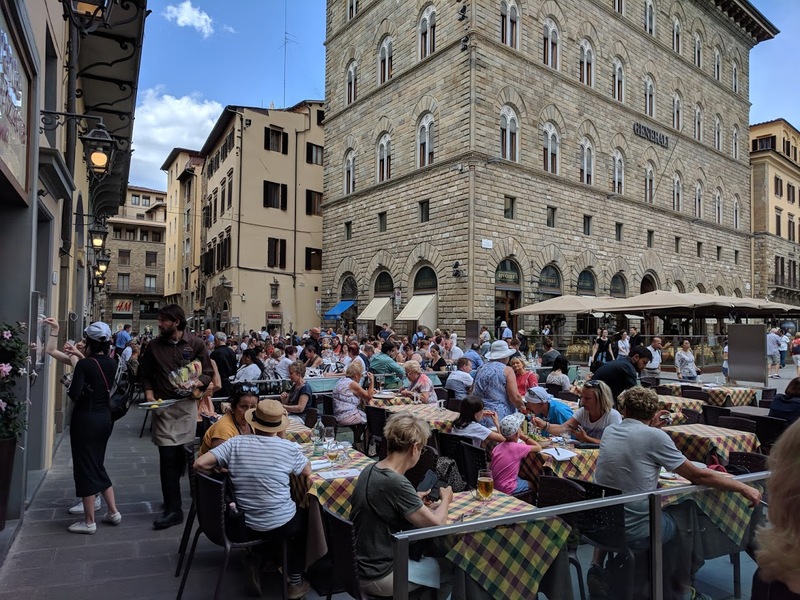 Florence is famous for being the birthplace of the Renaissance, without which we'd all be leading significantly more mundane lives. 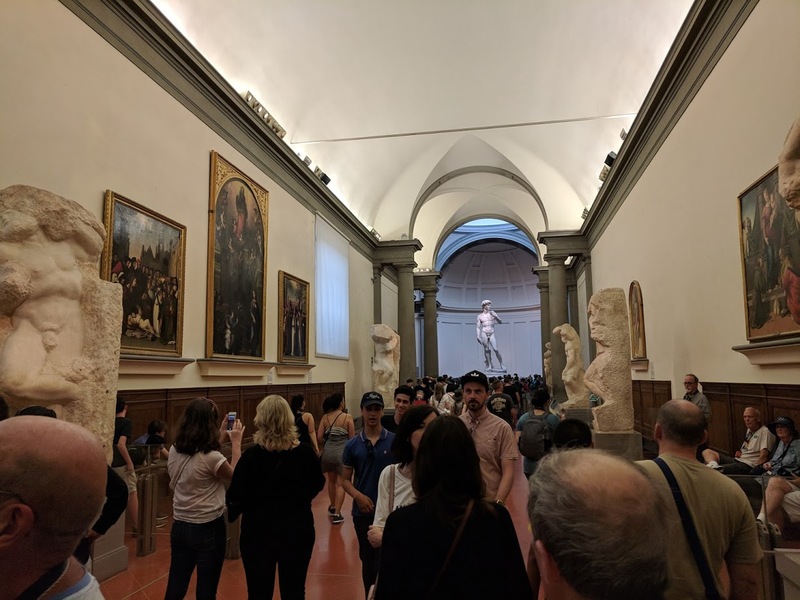 Having to see Florence in a single day is a sin, but it's better than not seeing Florence at all. 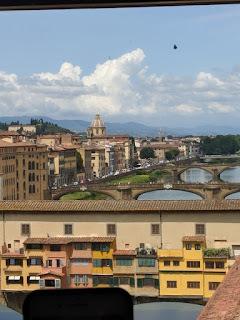 Our first view of Florence after jumping off the tour bus was exciting, and that feeling continued throughout the day. 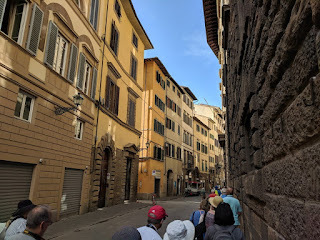 Every corner we turned had something significant to see, whether it was the natural beauty of Tuscany or a work of architecture. The Uffizi Gallery is one of the most important art museums in the world. 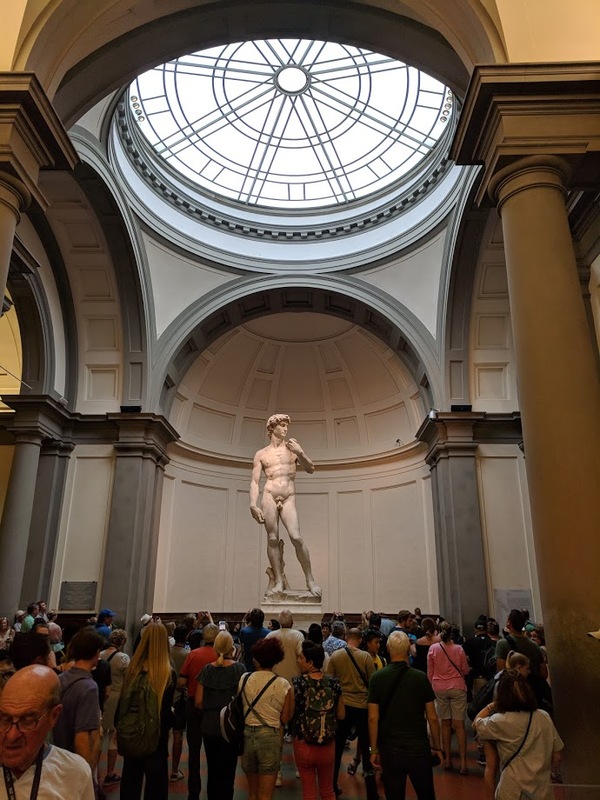 It is crammed full of a massive amount of art. 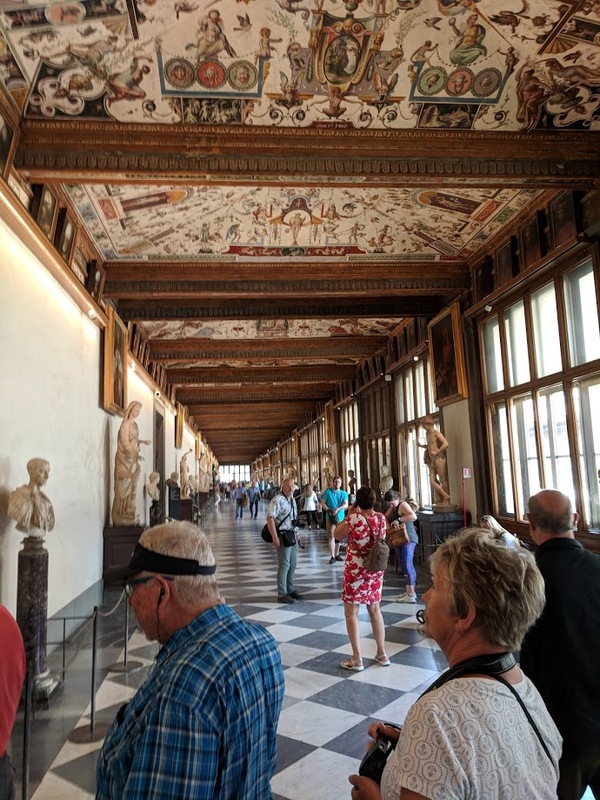 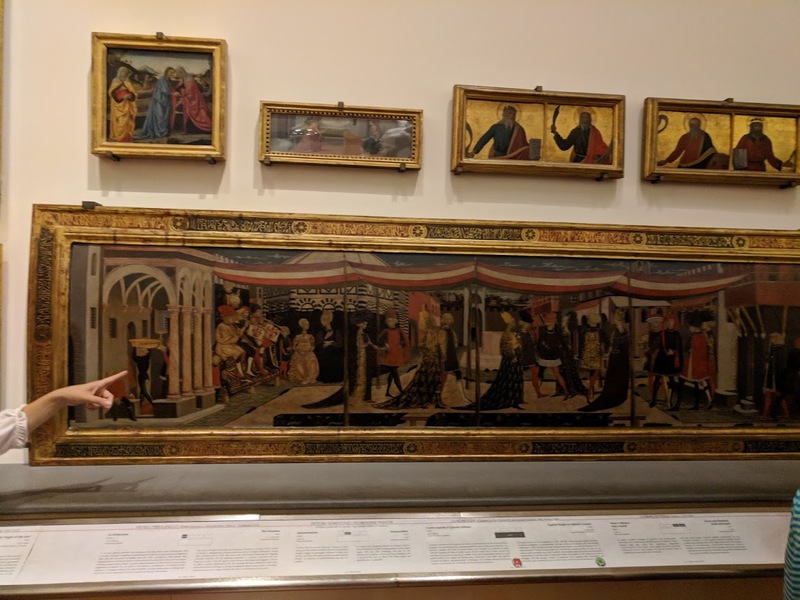 We unfortunately had a short time here, and as our tour guide whisked us from one room to the next I knew that for each masterpiece we were shown there were 100 we had to skip past. 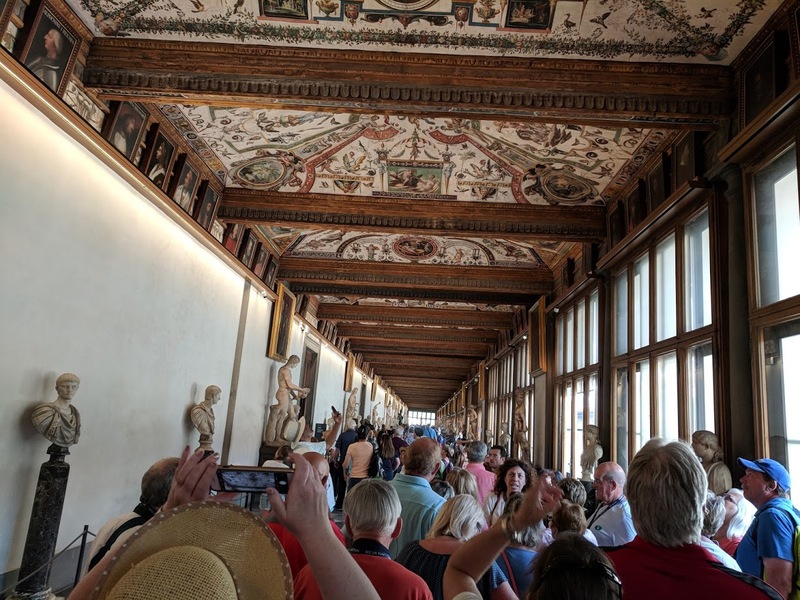 It also didn't help that every single person in there was trying to take pictures at the same time. 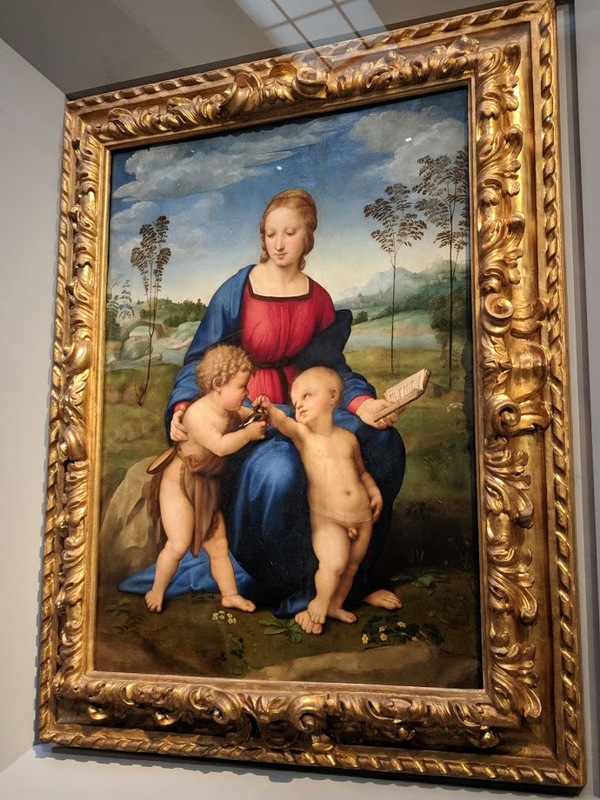 It is nicely arranged so that you can see the progression of art styles over time. Some of the key works in the Uffizi Gallery are from Botticelli, Da Vinci, Michelangelo, and Rafael. In particular I remember The Birth of Venus by Botticelli. The Uffizi Gallery is adjacent to the Piazza della Signoria, the historic center of Florence. 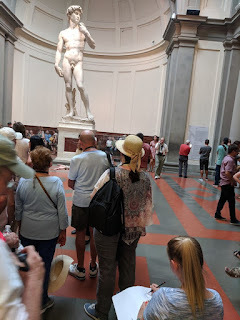 This was a marvelous place to look about and take in the essence of Florence. 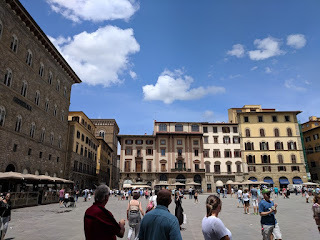 We enjoyed espresso there. 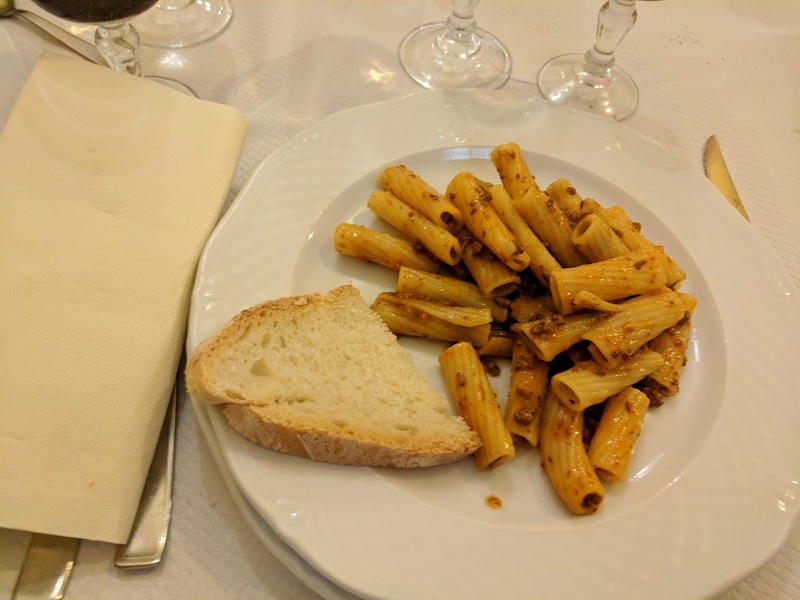 Once again a chance to eat Italian food in Italy! 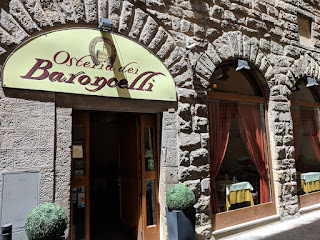 Our tour included lunch as a group at Osteria dei Baroncelli, right around the corner from the Uffizi Gallery. 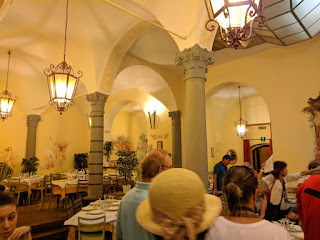 The restuarant had an ornate interior, fitting for its location. 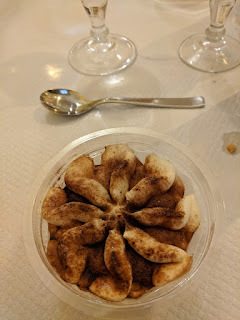 Lunch included bread, wine, a pasta starter (enthusiastically served family style from the largest serving bowl I have ever seen), veal, salad, and Tiramisu. 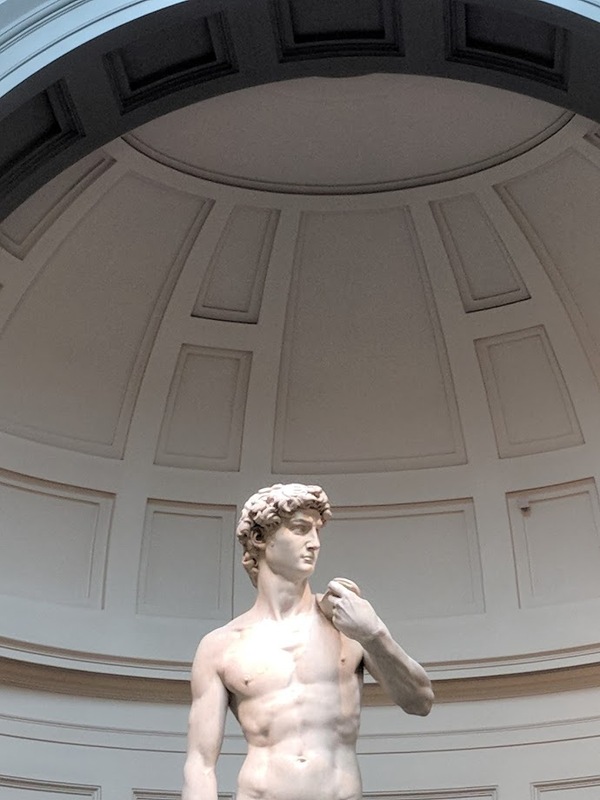 The other art gallery on our itinerary was the Accademia, where Michalangelo's David is housed—but that's quite some distance away. We walked across Florence for what felt like miles; inspiring sights to see, but also hot and tiring. On the way, we saw the Duomo from the outside. 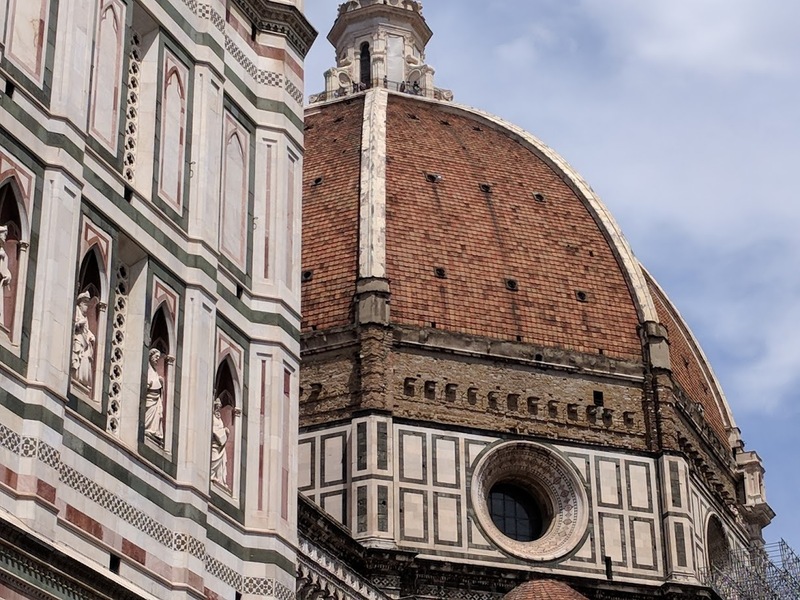 The dome is a familiar symbol of Florence, but I hadn't realized the dome was part of a much larger structure, a majestic cathedral building. We also saw the Florence Baptistery, with bronze doors by Lorenzo Ghiberti containing detailed Old Testament scultures. 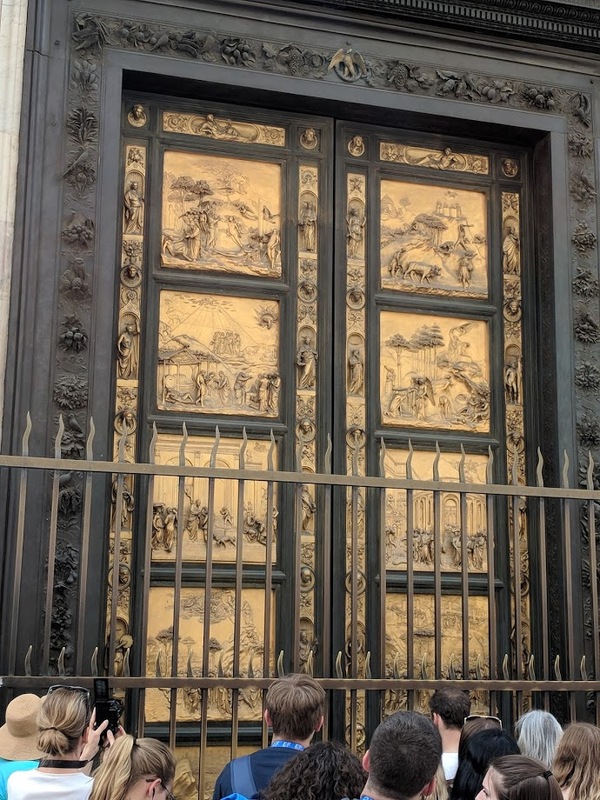 Michelango called them "The Gates of Paradise." 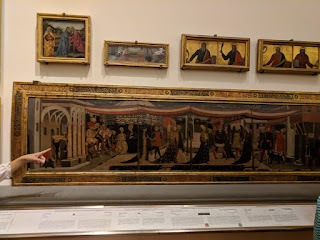 Finally we made it to the other art gallery, the Accademia. This gallery contains major works from Michelangelo included his statue David. The status was originally in the Piazza della Signoria where a replicate still stands, but the original was moved to the gallery in order to protect it. The biggest draw in the gallery is of course the David statue. An awful lot of people were perpetually surrounding the statue, including art students. 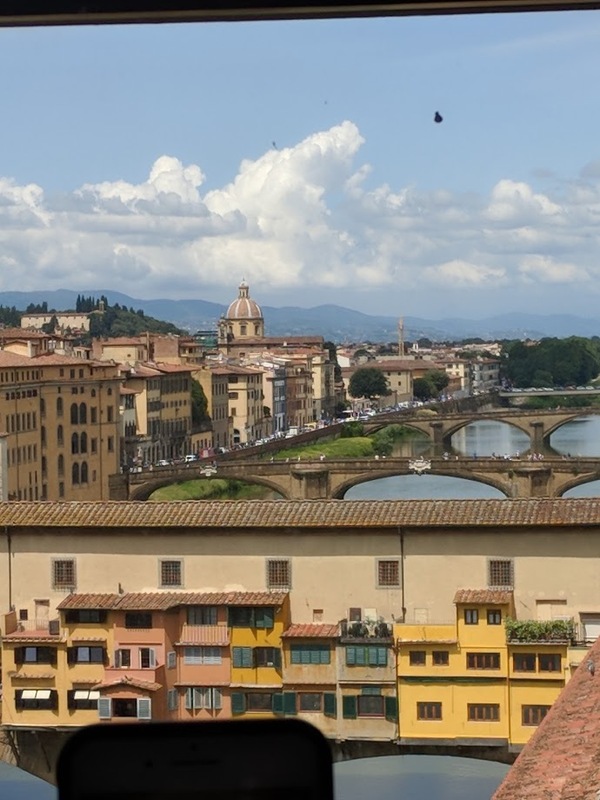 Florence was a wonderful place to visit, and we give it 4 stars. 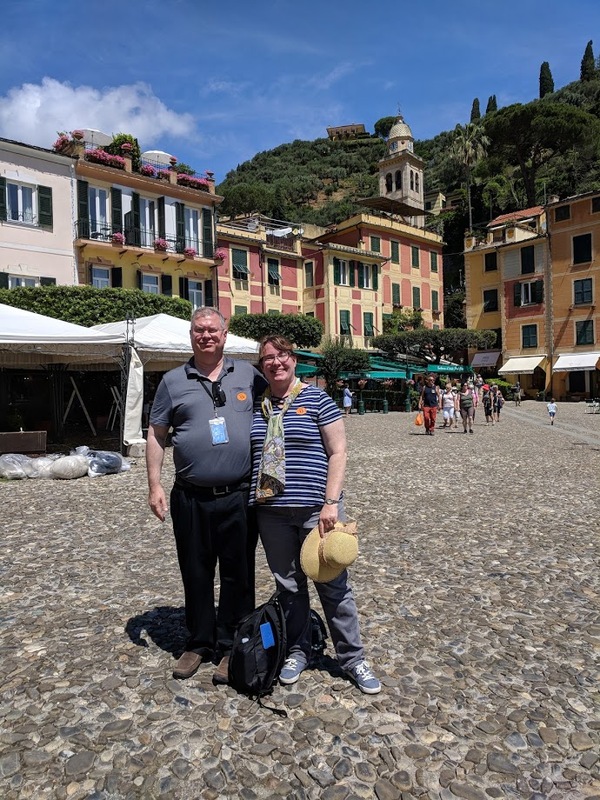 We really wished we had more time there. 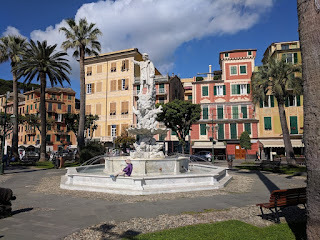 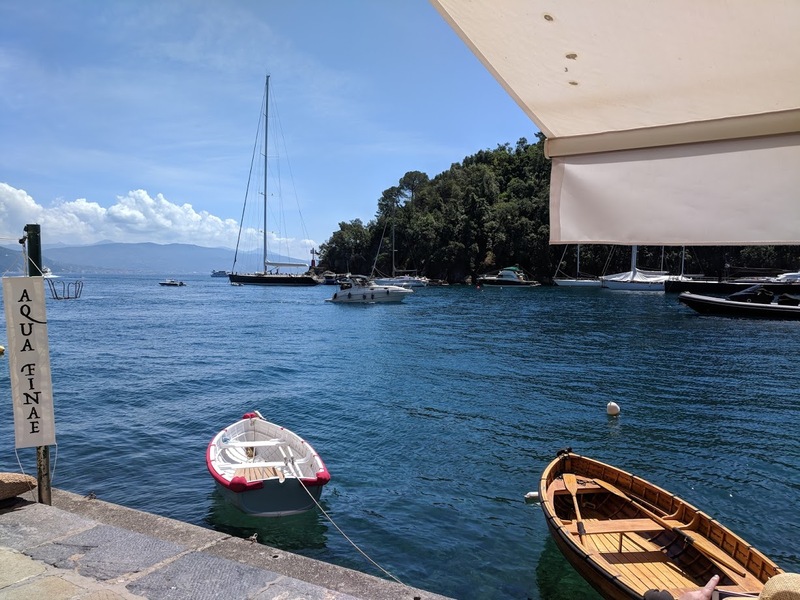 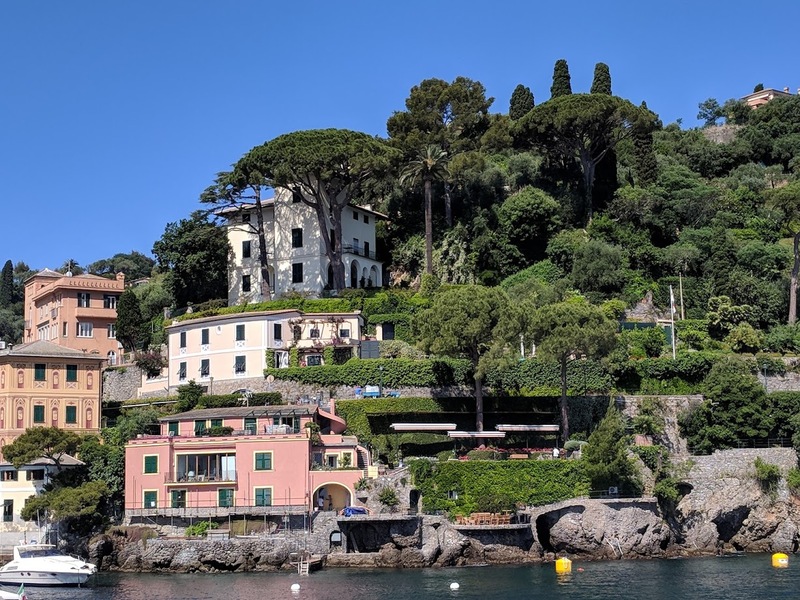 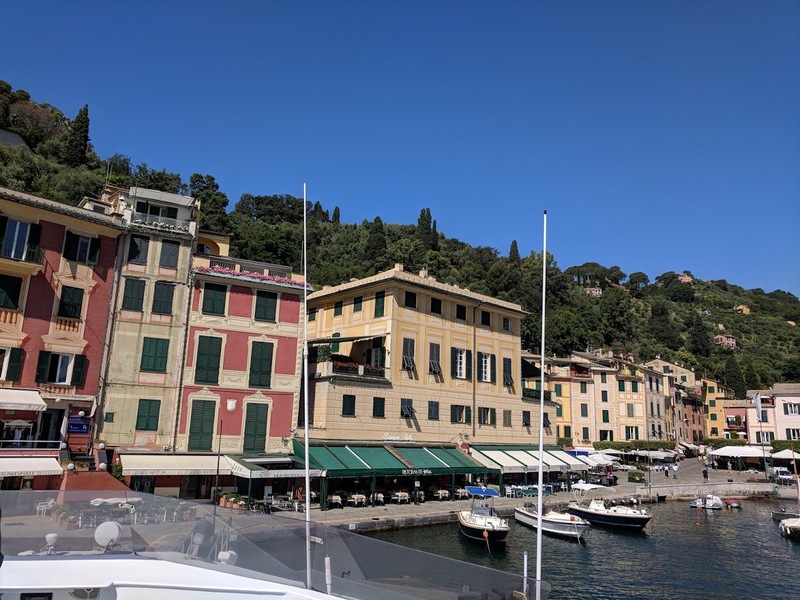 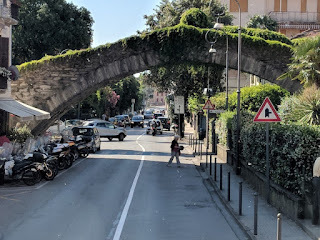 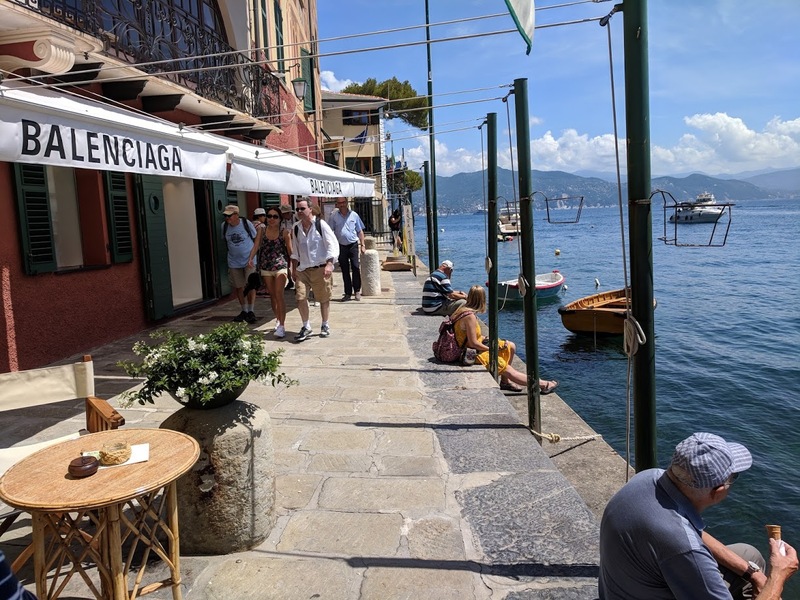 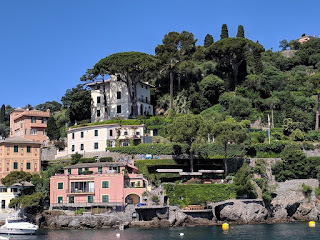 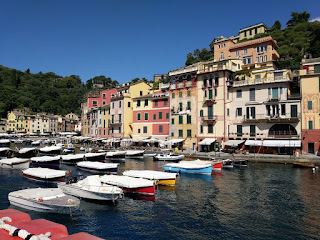 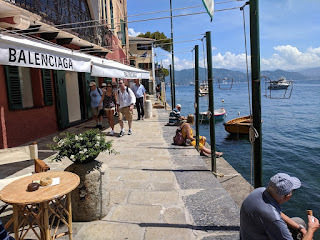 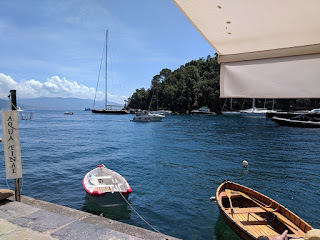 In this series of posts I'm describing the Mediterranean Cruise my wife Becky and I took in 2018 for our 25th anniversay, Here in Part 4 I'm covering our fourth stop, Genoa--where we took an excusion to Portofino. 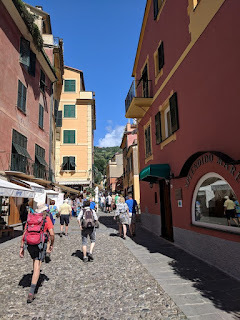 The excusion we really wanted to take is to the Cinque Terre (or "5 lands"), a picturesque collection of towns on the coastline of the Italian Riviera. But that excursion was a long 10 hours, and it would be back-to-back with long hot days ahead in Florence, Rome, and Pompeii. 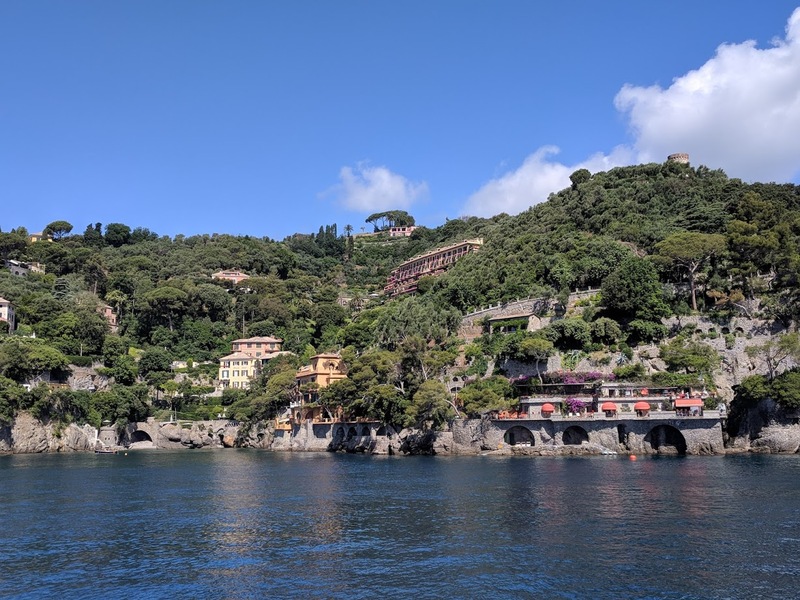 We weren't sure we'd hold up, so we opted for a short half-day excursion to Portofino instead. 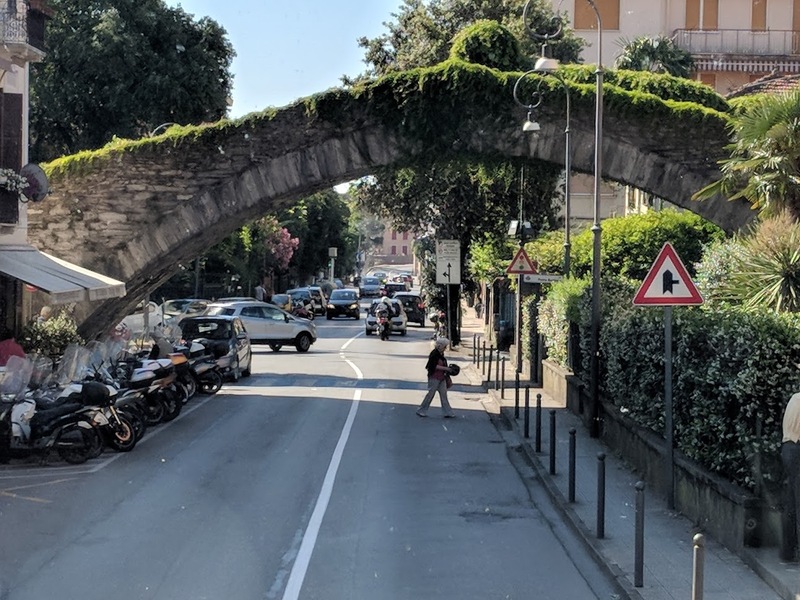 I'd been to Italy before, but only en-route to somewhere else. 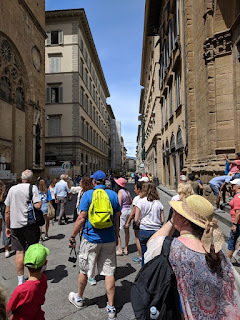 This was my first opportunity to really see Italy. 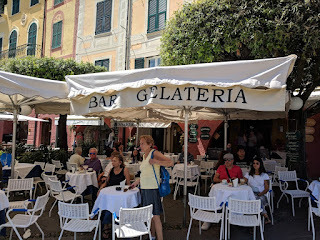 To get there we took a tour bus to Santa Margharita, itself a lovely place. 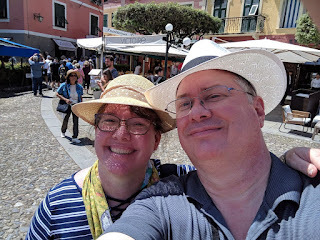 Becky was feeling the heat and bought a hat from a local young man who I'm sure charged us 4 times what they were worth. 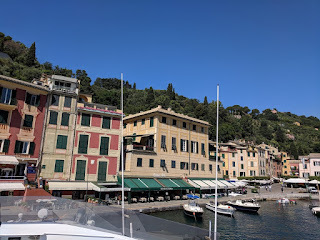 From here we boarded a ferry which took to us to Portofino. Portofino means "Port of the Dolphin", but we didn't see any dolphins. 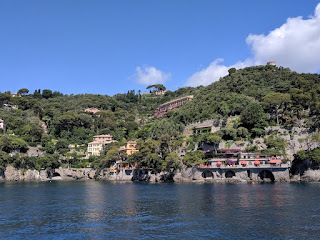 As we entered Portofino harbor, the picuresqueness of the place is apparent to all. And then there are the yachts. 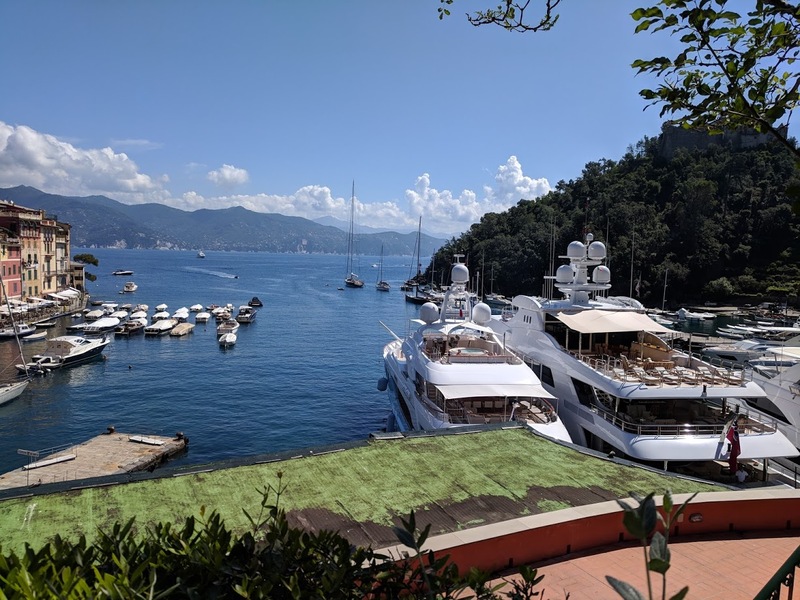 Portofino is a playground for the rich and famous, so you'll see big yachts. Next to even bigger yachts. 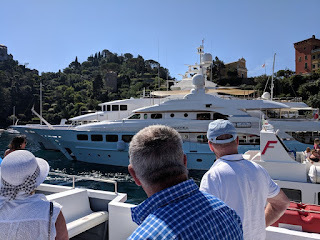 Next to even bigger yachts. 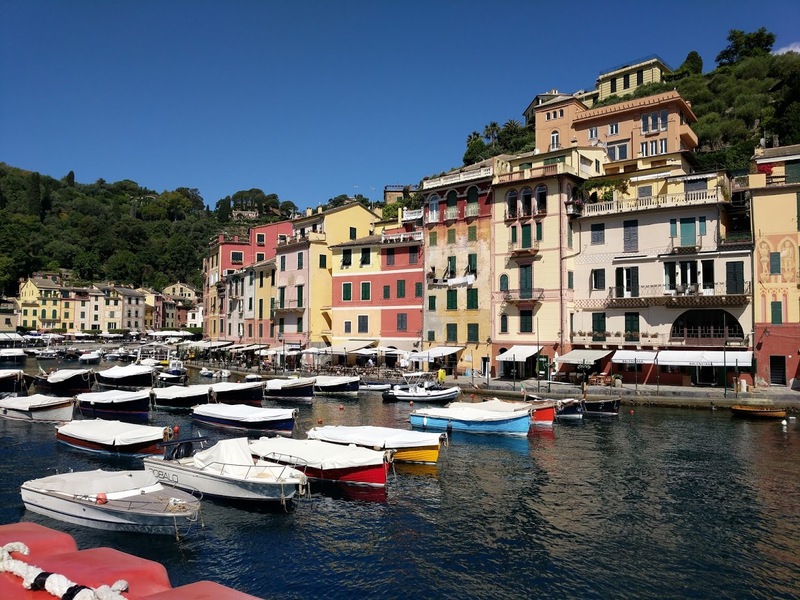 But also many small boats. 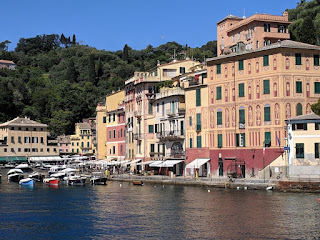 Once in Portofino, you can wander around. 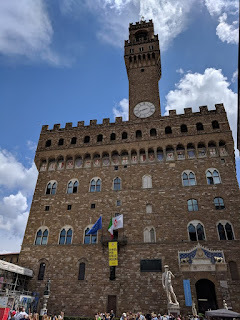 There are places that sell souvenires. 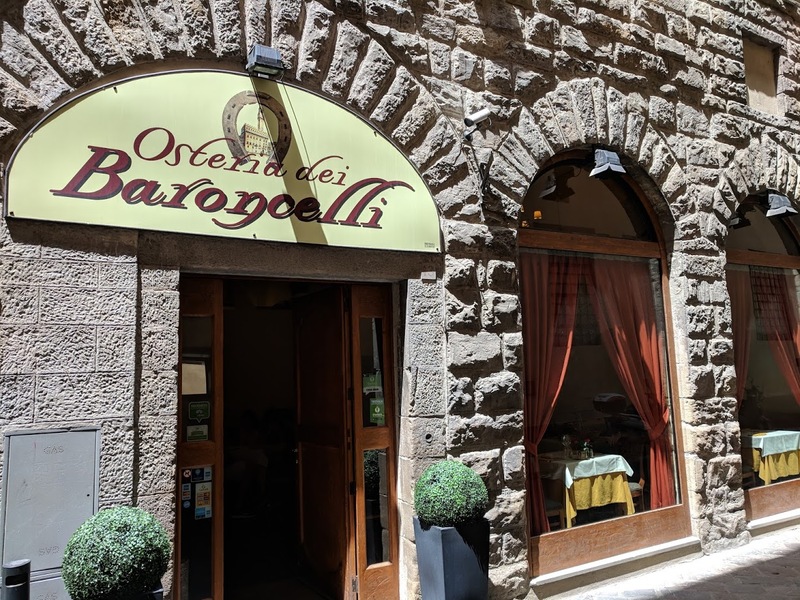 There are art galleries, but too expensive for our tasts. 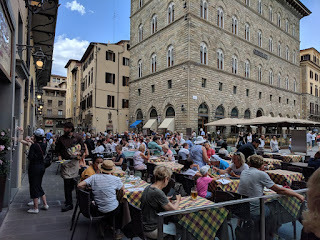 And there are restaurants. It's hot. 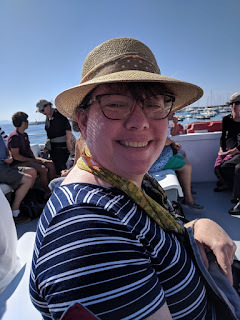 I too buy an overpriced hat. 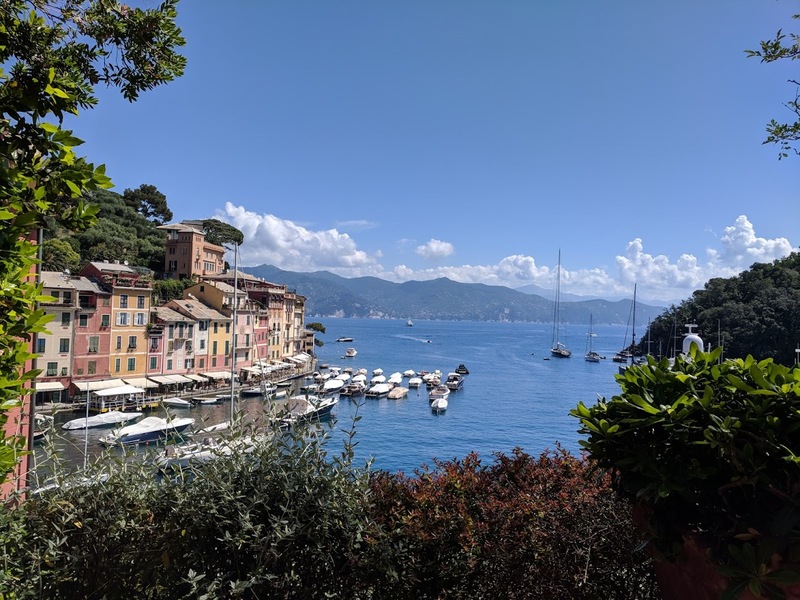 There are some paths that take you higher up for a nice view of the harbor. It would be unthinkable to visit Italy and not have something Italian to eat. We had pizza at one of the cafes. 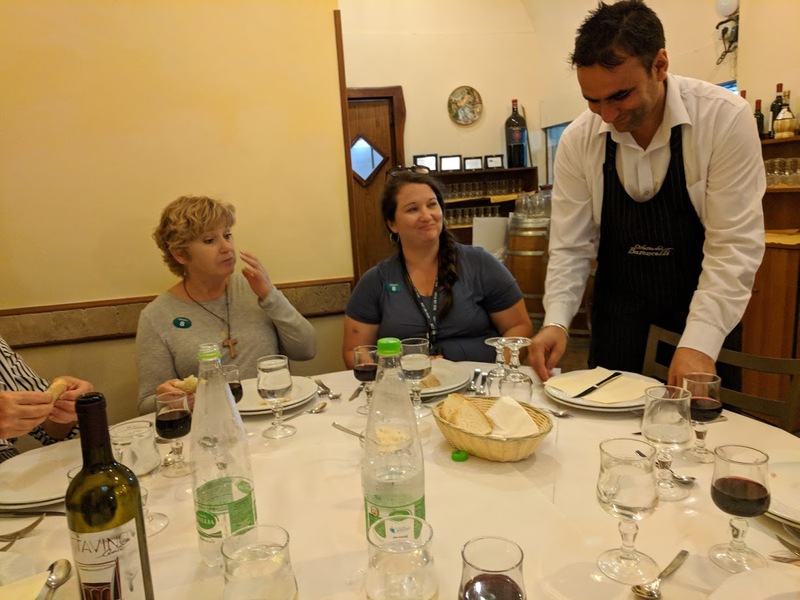 We ordered a pizza from the menu that said it came with ham, mushrooms olives, and artichokes. 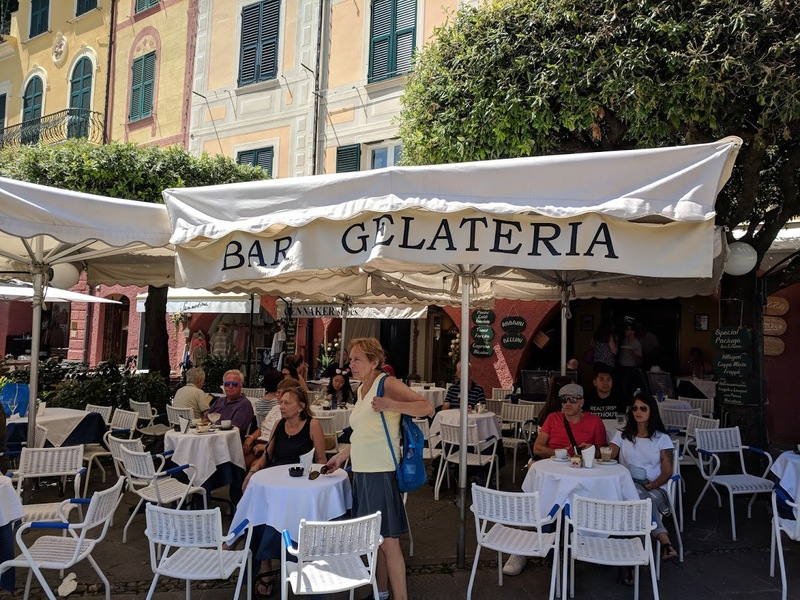 Unlike an America pizza, each ingredient lives in its own section of the pie; I've since learned that Italians value individual ingredients and look down on mixing many different toppings together. 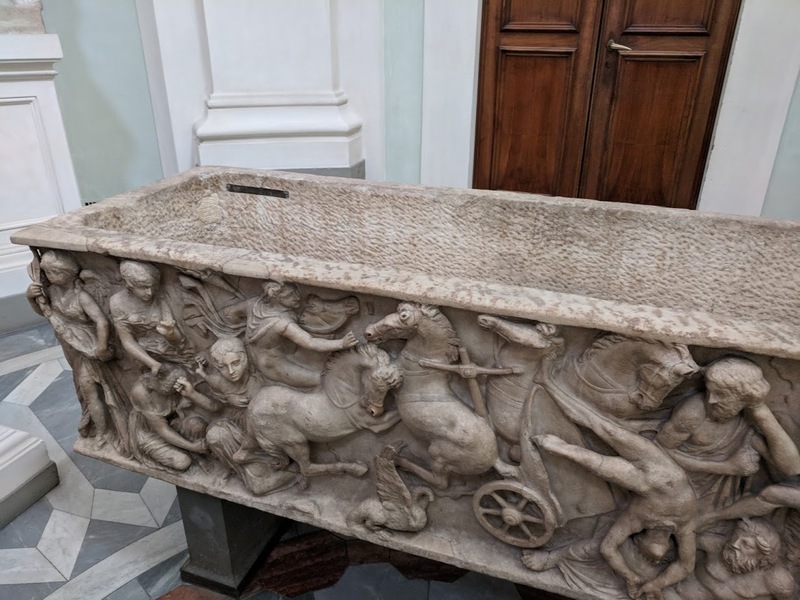 Interesting, we had to remove ipts from the olives--something we found consistently throughout Europe. 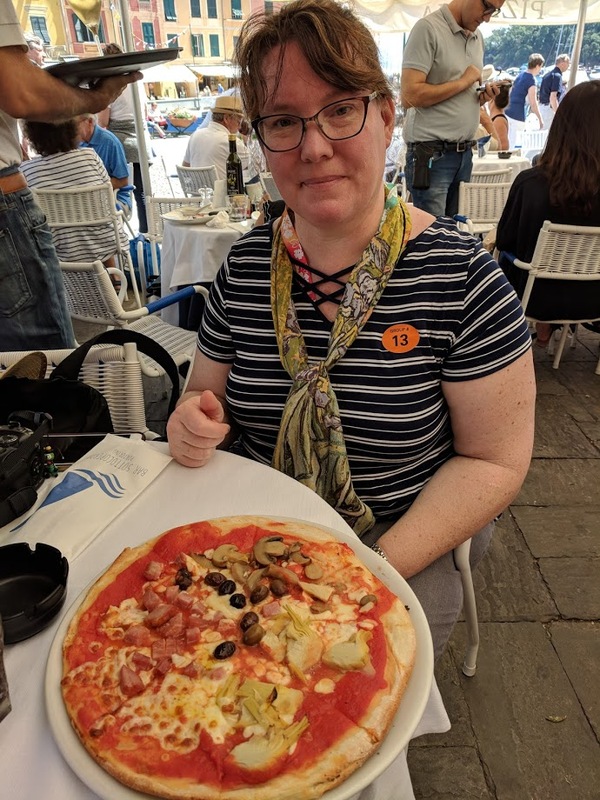 Anyway, the pizza was very good. 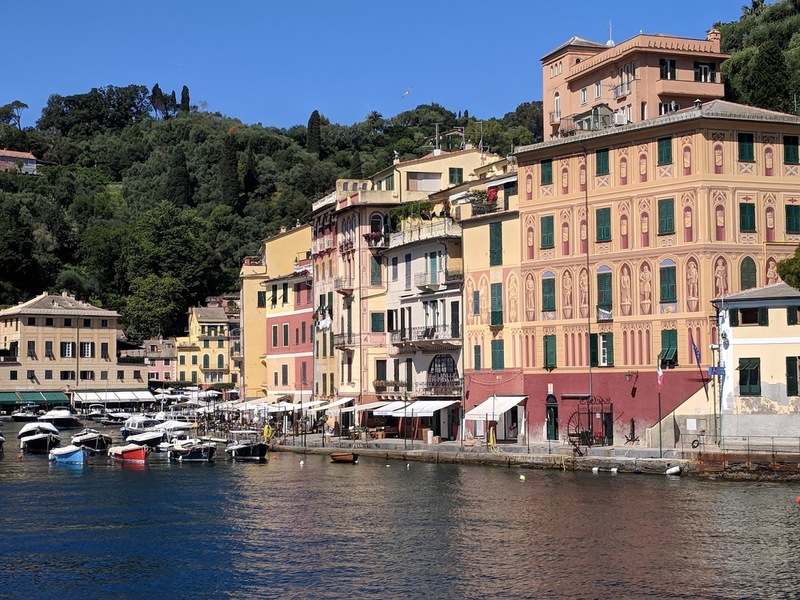 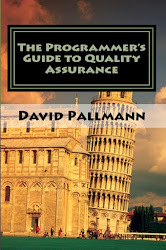 We very much liked Portofino and give it a rating of 3 stars. 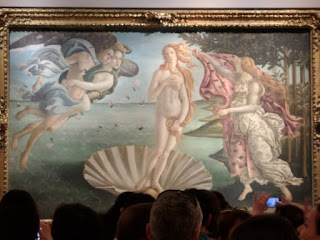 Do understand that it is pricey, but it's supposed to be. 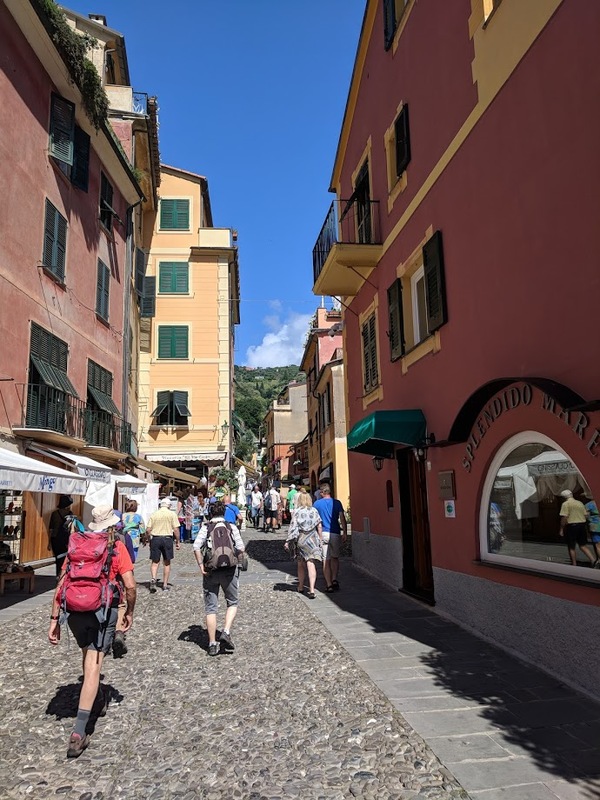 We would very much like to see the Cinque Terra some day, but really anywhere you go on the Amalfi Coast is a winner.